In our house, any sunny day, no matter the season, is basically just one big excuse to get crafty, especially in our outdoor spaces. There’s just something about the warm weather and sunshine that makes us feel creative and starts us itching to decorate, embellish, and spruce up just about everything around us! Suddenly we’re looking at just about surface around our home and thinking about how great it would look with a bright, fresh coat of paint or a bit of a sketch added to it. We’re sure it’ll come as no surprise to you, then, that we’ve become really enthusiastic about the idea of fence painting in the last few months. Our backyard fence is a large expanse of free space that only family and friends really ever see, so it’s basically the perfect spot for us to create any kind of image we please so long as we have fun making it with our family and the finished product makes us feel pleased! Before we take a brush to the wood, however, we decided to take a look at how other people dressed their fences up, just to gather ideas and really plan out what kind of painting we can to create. 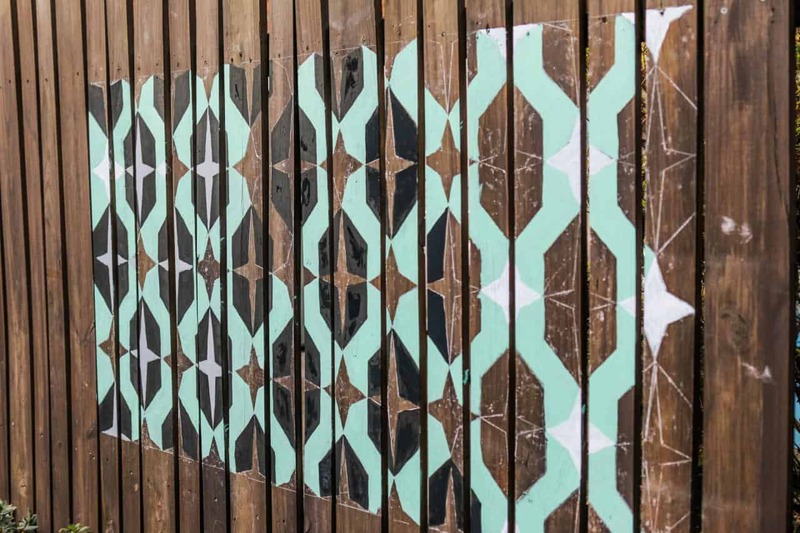 Just in case you’re as intrigued and excited about the idea of painting your yard’s fence as we were, if not more, here are 15 of the best ideas, designs, and tutorials we’ve come across so far, just to help you get your creative juices flowing! In our house, the most time we spend in the backyard is in the summer when the days are long and the weather is warm. 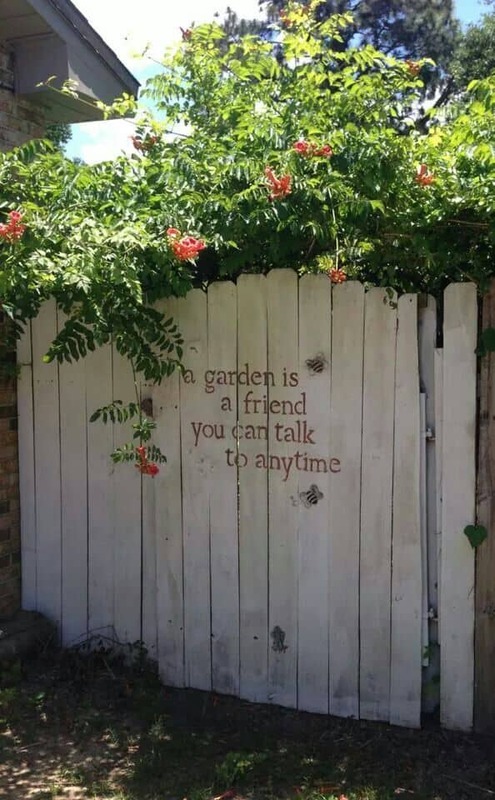 It makes sense, then, that the most time we spend around our back fence is in the summer as well, which has us wondering whether a lovely outdoor summer scene, like those we see play out so often in our actual yard, might be the best thing to paint! 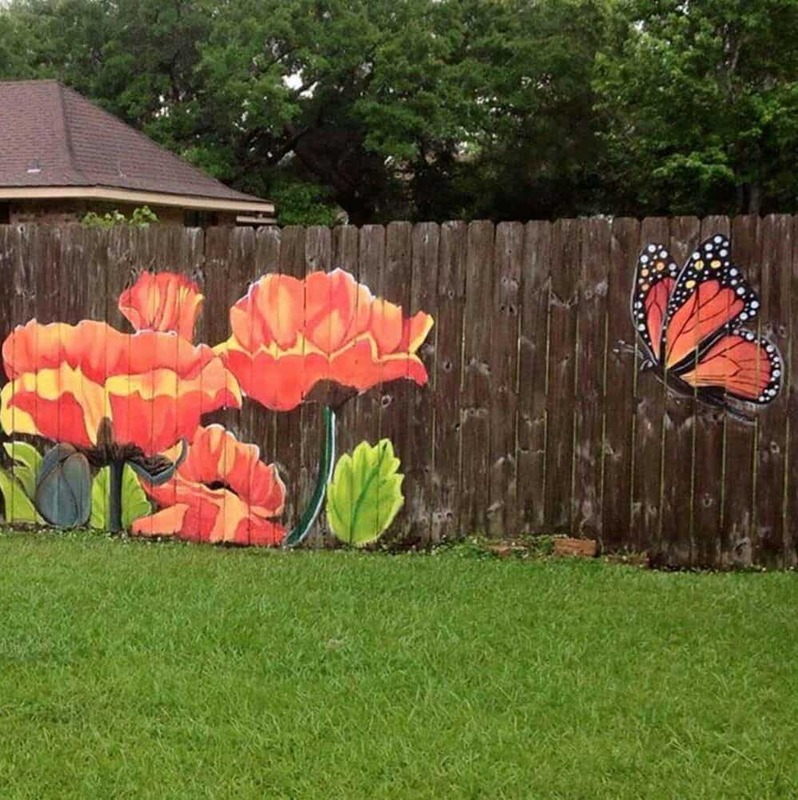 We’re crazy about this stunning monarch butterfly making its way over to some bright garden blossoms, as painted by Yard Fencing Genius. If you’re going to get creative in a way that’s extra big, very fun, and a little unconventional, are you absolutely intent on getting your kids in on the process as well? Then perhaps a fancy mural isn’t quite the way to go for your family. 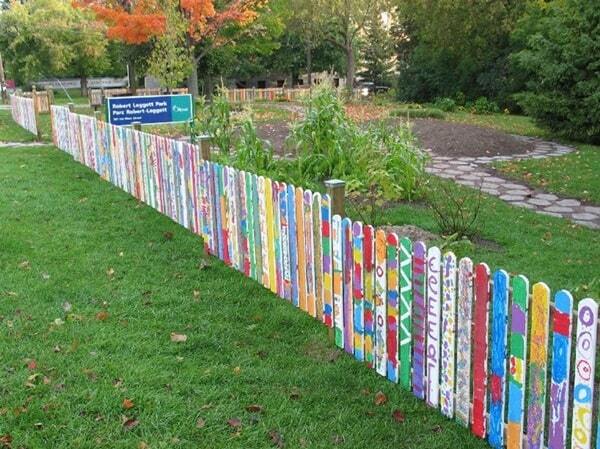 Instead, we’d suggest taking a look at how Bored Art handed their kids brushes and a whole range of bright paints and encouraged them to make every single fence post look different in whichever eye catching way they pleased! 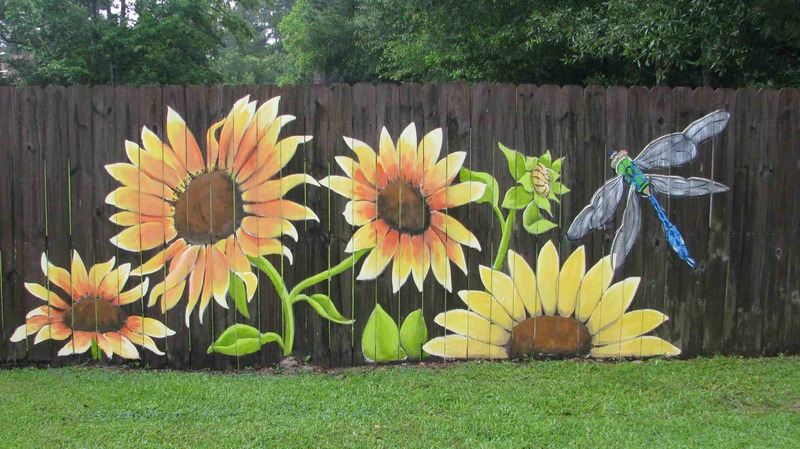 We love the fun, eclectic look of the whole thing in the finished fence. We’d probably invite the whole neighbourhood of kids over and let our children’s friends get in on the project too, just to make it as colourful and diverse as possible! Are you quite intent on the idea of giving your back fence a brightly painted makeover but you’re actually not all that confident in your hand painting skills because you don’t have a ton of practice? Then maybe combining them with another kind of craft is the best idea to get a look that you’ll love! We’re pretty obsessed with the way Craftsy painted a simple sky and grass on their fence using blue and green paint but then added shapes, detail, and design by attaching hooks to the wood and hanging all kinds of fun repurposed trinkets and housewares across the fence against the landscape background, letting those be the detail rather than intricately painted shapes. Perhaps confidence in your hand painting skills is no problem at all, but you absolutely want to make sure that what you paint suits what’s already going on in your yard, especially since you have some lovely flower beds that you don’t want to detract from? In that case, you might be happier with the finished product if you create something closer to what Bored Panda features here! They suggest painting a lovely little floral scene right onto your fence featuring some of the flowers that you actually grow in your garden annually. When your flower beds bloom, the two will bolster each other and make your garden look extra lush! Have you actually always been more of a wordsmith rather than an image painter or illustrator? 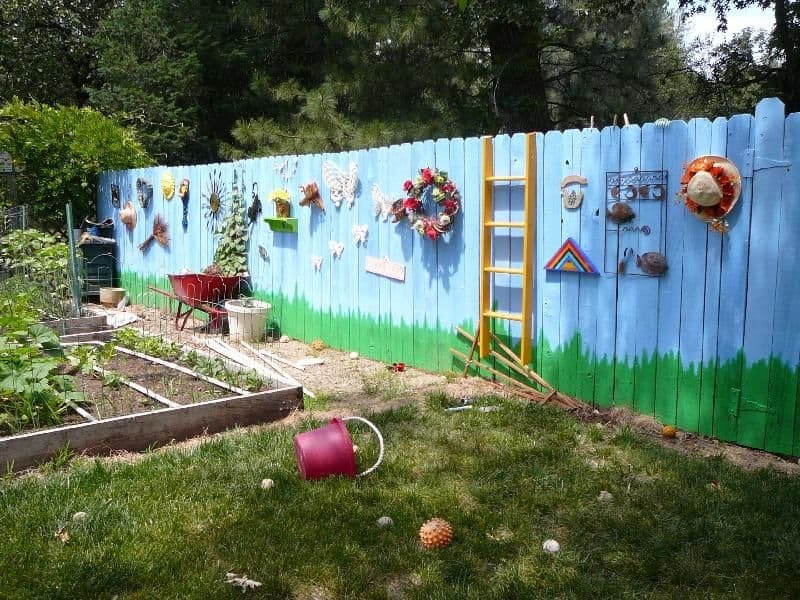 Well, believe it or not, that’s not problem at all when it comes to decorative fence painting! 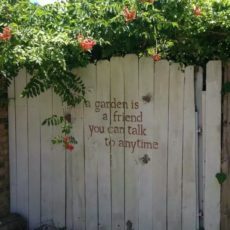 Instead of delving into bright colours and intricate shapes or details, we’d suggest taking a look at how Desposito Santa Mariah used some paint and a stencil to create a lovely gardening quote on the fence, right in the area where they’ll be cultivating that very garden all summer. Are you the kind of eclectic crafting enthusiast who loves when your bubbly personality spills out into the space you live in, so you’ve never been one to shy away from loud colours or DIY statement pieces in your home? Then we have a feeling this fantastically eye catching but monochrome fence and shed combination paint job outlined on Wikial will be right up your alley! 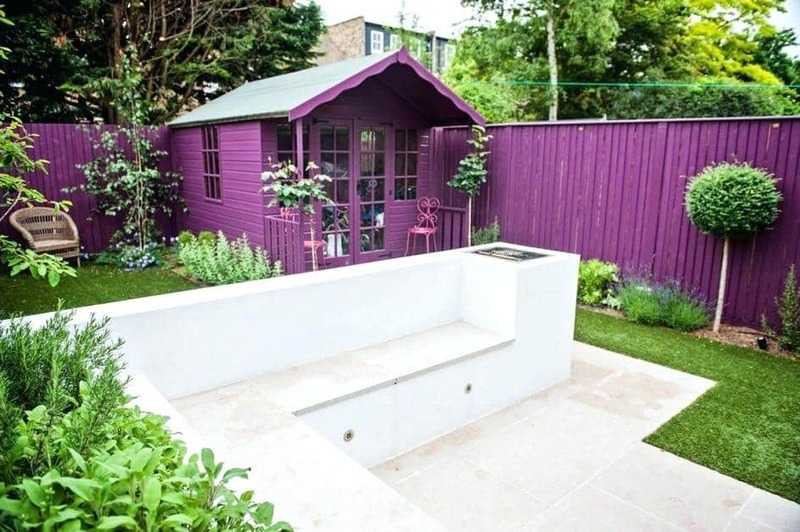 We love the way they painted both their entire fence and their gardening and tool shed one awesome colour to really establish a fun outdoor aesthetic that adds a pop of colour to the space and contrasts well with the green plants all around. 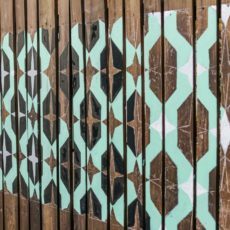 DId we really catch your attention when we started talking about using stencils to create detail on your fence, but you’ve always been a much bigger fan of patterns and repeating visual details than word art? Then perhaps you’d rather consider painting something like this repeated stencil pattern outlined in just a few simple steps on HGTV instead! They give you lots of awesomely useful tips for choosing a colour scheme, keep your pattern repeats straight, and keeping your edges neat and tidy. Were you quite intrigued by the butterfly and flowers idea we showed you earlier on our list but you’re wondering if you might even actually prefer an idea that’s even bigger and bright than what we showed you there? Then we think perhaps this giant sunflower and jumbo dragonfly painting might be a little more along your train of thought! 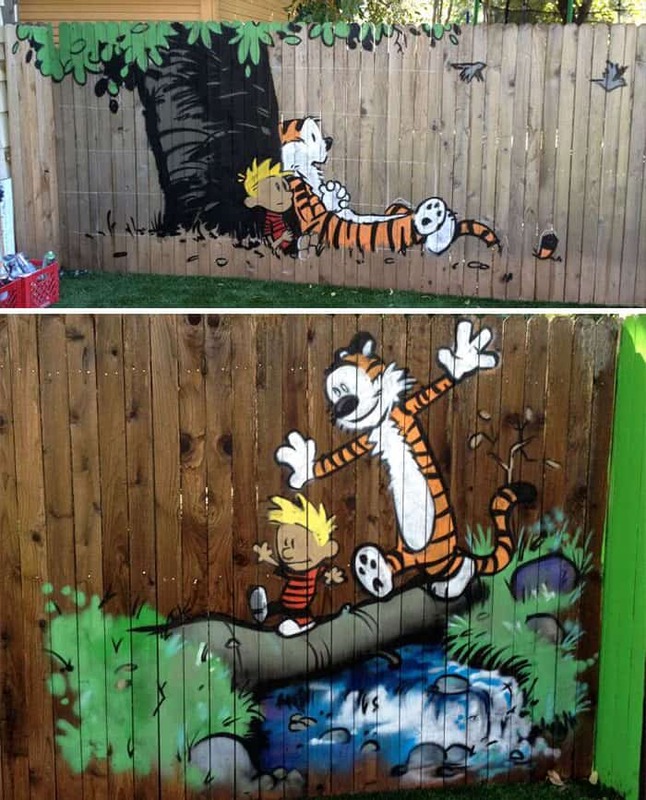 Lori Gomez Art shows you how they painted their fence that way to get a look that’s bright and cartoon inspired but still with a little bit of impressive detail for balance. Just because you’re painting the fence in your yard doesn’t mean you have to create some kind of summer, garden, or yard inspired themed! In fact, one of our very favourite ideas that we’ve come across so far, period, is this design featured on Wall Murals which makes very little sense in the average back yard, if you really think about it. 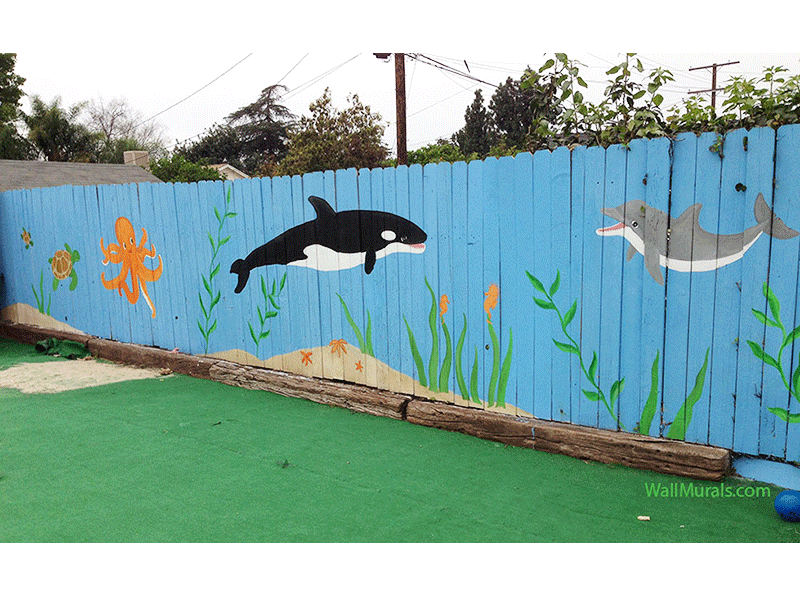 Instead of painting flowers, butterflies, or regular backyard animals and scenes, they chose to paint a stunning under the see mural featuring all kinds of fantastic sea creatures that would brighten anyone’s day and make for a great play-scape full of imagination! 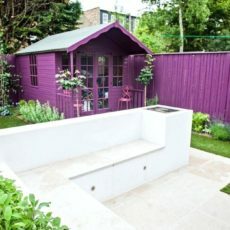 Are your home and patio actually a little bit darker in their decor and colour scheme, so you’ve been scrolling through our list hoping to find a painting method that will help you add some detail and personality to your fence without necessarily leaning on bright, bold colours to make that happen? 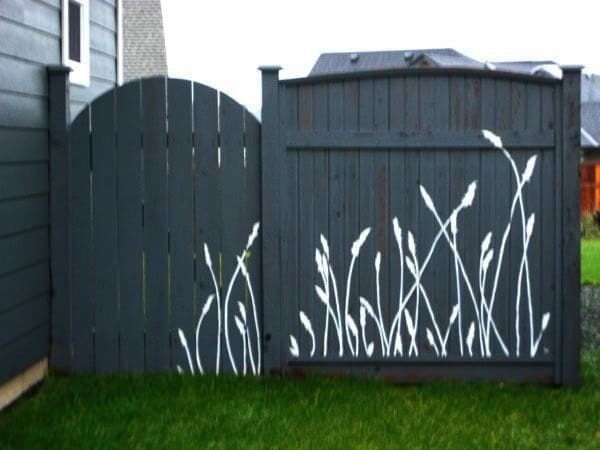 In that case, we have a feeling you’ll really appreciate the way Bored Art made some reverse silhouette art by painting the simple outline of some wheat swaying in the wind in white paint on a dark painted fence, rather than the other way around, which might be more typical. When you think of things that are bright, full of personality, and uplifting to look at, does your mind wander into more abstract design schemes, even if you’re intent on keeping certain summer and garden themed elements in the mix? Then perhaps you’d prefer to create something that’s more along the lines of this swirling colours and uplifting quotes mural from Flower SSQ! 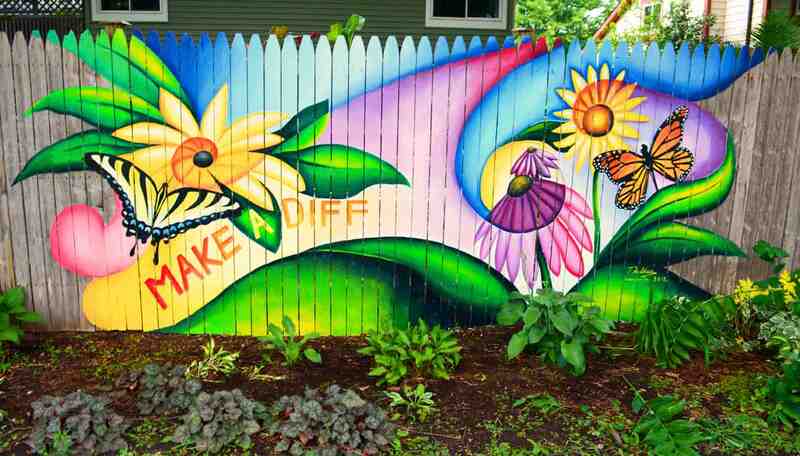 They painted a wash of contrasting shades a nearly kaleidoscope looking background wave and then added inspiring words and brightly colour flowers and butterflies on top, all swirling together across their fence like a beautiful dreamscape. Whether you choose to recreate this fantastic comic book inspired scene that was hand painted by deMilked or whether you use it as springboard inspiration to paint a scene from another comic or book you’ve always adored, we’re basically obsessed with this Calvin and Hobbes mural! We love the idea of scenes from childhood favourites playing out in our backyard while our own kids build memories together as well. 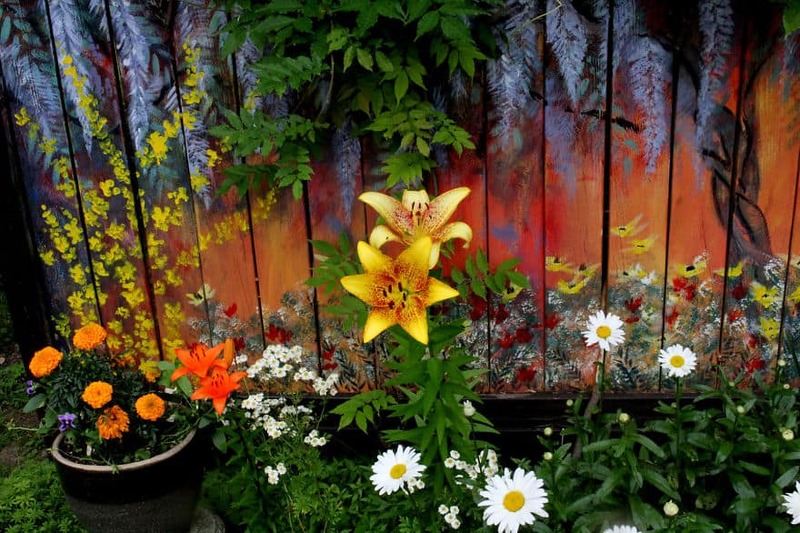 Have you actually already totally settled on the idea of painting a lovely flower inspired mural on your fence but now you’re scrolling through hoping to find some tutorials and guidance when it comes to how you should paint different flowers of different shapes and sizes? Then we’d absolutely suggest taking a look at how Artist Till Death used a sponge and a series of sponging techniques to make beautiful bluebonnets all down the length of their back fence. Are you still thinking about how much you loved the idea of painting every single fence post a little bit differently, but you’d rather add that eclectic colour and detail in a way that follows a scheme, rather than just being completely random or jumbled like the idea you saw before? 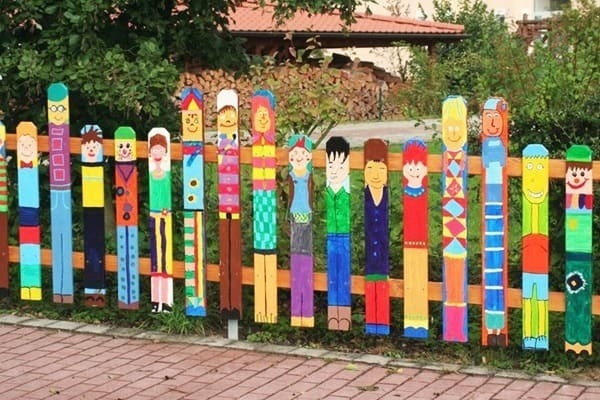 Well, we can appreciate the idea of giving your kids free reign in terms of design, but we also like the idea of having everyone paint a self portrait (or just another person) on their fence post instead! Bored Art shows you how they made a whole range of fun looking individuals in all different painting styles. 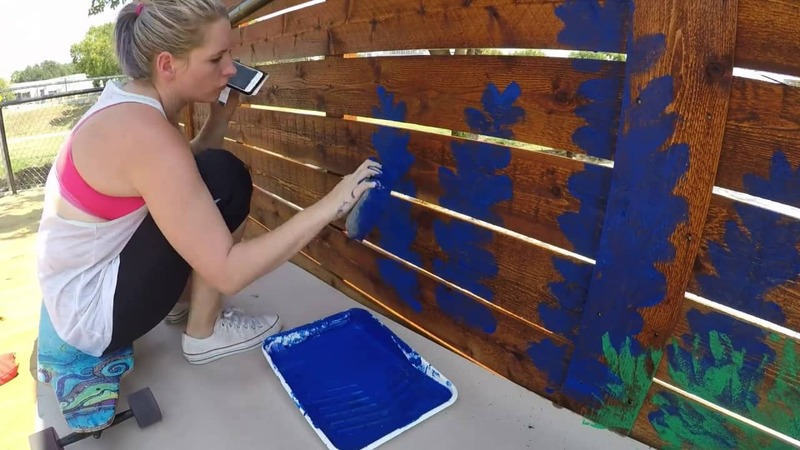 If you’re going to paint part of your fence, would you rather create a spot in the yard that your kids can not only help you make, but also actually continue using after when it’s all finished? We think that’s a fantastic idea and we’d definitely suggest taking a look at how HNG Ideas used black chalkboard paint to make their kids a reusable arts area where they can draw across the fence with chalk and wipe it away as they please! 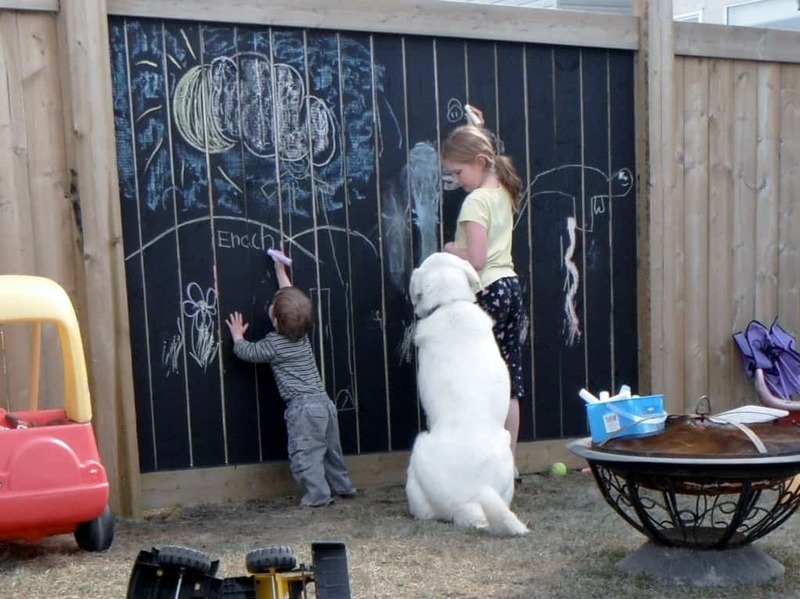 We love this idea because, if we’re being honest, our kids already use their chalks on our fence anyways. This would just make it easier to clean the designs off when they’re done! 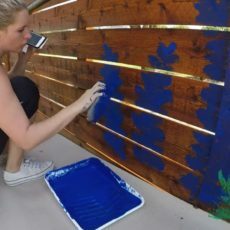 Do you know other DIY enthusiasts who love getting creative and artistic with large aspects of their home and who are also very good at hand painting, but who might need some inspiration before they get started on painting something as visible as a fence? Share this post with them to help them get their design wheels turning!